If you are looking floor mats for your bedrooms, Hall, kitchen, car, truck or camper you will get the various options to choose the carpets. · It should look good and it should have uniqueness. · It should give comfort to the people working there. Plush Logo Carpets - The elegance of a thick plush carpet with a logo inset can really make a statement. Materials range from shorter commercial grade 36 oz carpet on up to the heavier residential grade 90 oz carpet. Sometimes the logo details can be hand-carved to create a 3D effect. Ideal for Corporate Lobbies, Tradeshows, and Special Events. Digitally Printed Carpet - now it's possible to capture photo quality images and have a digital print applied - inkjet fashion - on to a short looped commercial grade carpet and some cut pile carpets. Still in its infancy stages, this technology promises to lead the way into some fascinating directions. This product is good for short term events like tradeshows. 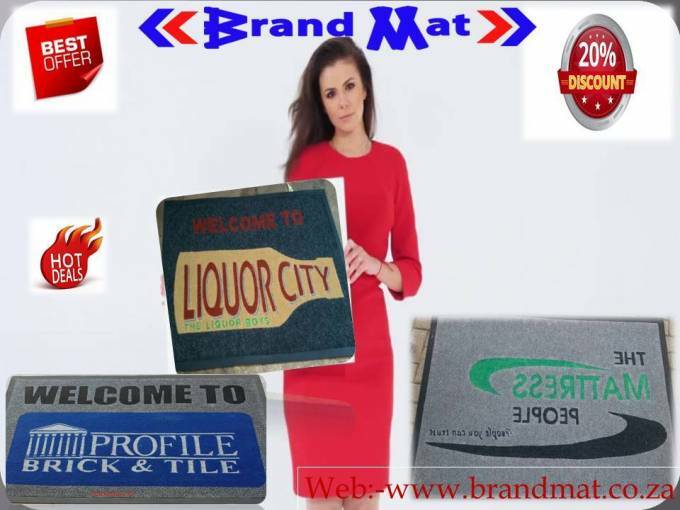 Indoor / Outdoor Mats - These medium to heavy duty mats have a wide range of uses. These mats are made from a more substantial Nitric Rubber or polypropylene / plastic. They are machine made and may also feature an anti-fatigue closed cell construction that is perfect for warehouse facilities and other industrial applications. Ideal for heavy traffic areas.